Do you have extra energy? Do you love to run, play, and jump? Do you experience the wiggles? Are you often told to “settle down”? Some of us are born with more energy and the need to burn it off. Other people are born more calm. I know many boys and girls who possess extra energy. They seem to be in a state of movement all the time. This constant motion can get them into trouble. It’s not always appropriate to be moving. Sometimes even when it’s hard, we need to sit still. Do you have this desire and are frustrated when you are asked to sit still? 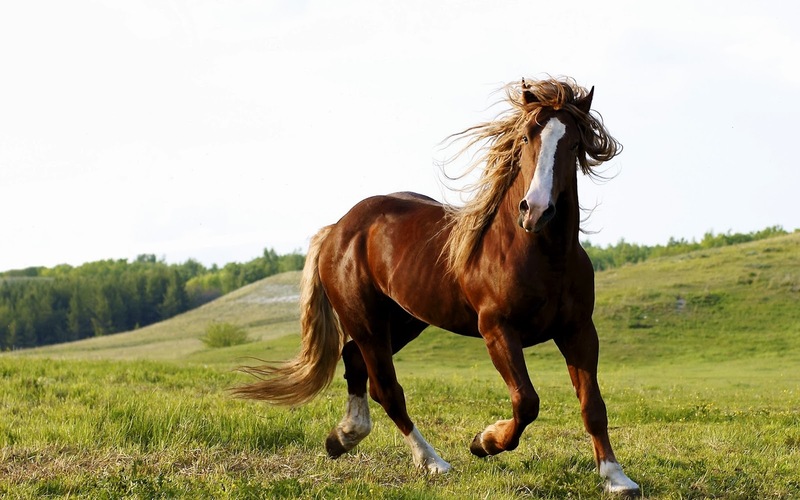 Our story today is about a wonderful horse named Skye. 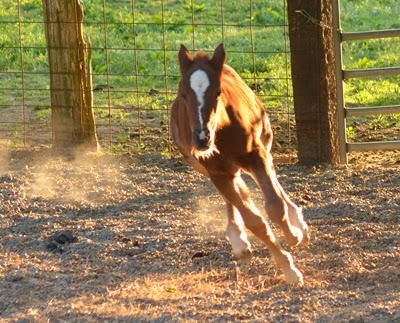 Skye is a filly, meaning she is a female horse under the age of four. 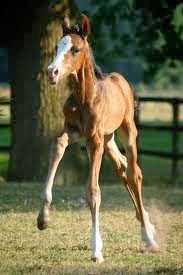 When horses are born they can stand up and some can run right away. Skye did that very thing. She was up and running as soon as she was born. It was a beautiful sight. She had a light brown coat with long spindly legs. She had a white stripe down her nose and huge eyes that seemed to look everywhere all at once. Skye was full of life and in constant motion. Her momma and daddy were so proud of her and her energy. Skye leaped, jumped, trotted, and pranced all day long. She slowed down when she was munching on grass or oats but her hooves still moved. A step here and a step there, a twitch of her tail, or a jerk of her head, she seemed always in motion. At night she would finally fall into a heap and sleep very hard. Horses have a great ability to doze while standing, but not Skye, she couldn’t stop moving enough to doze upright. 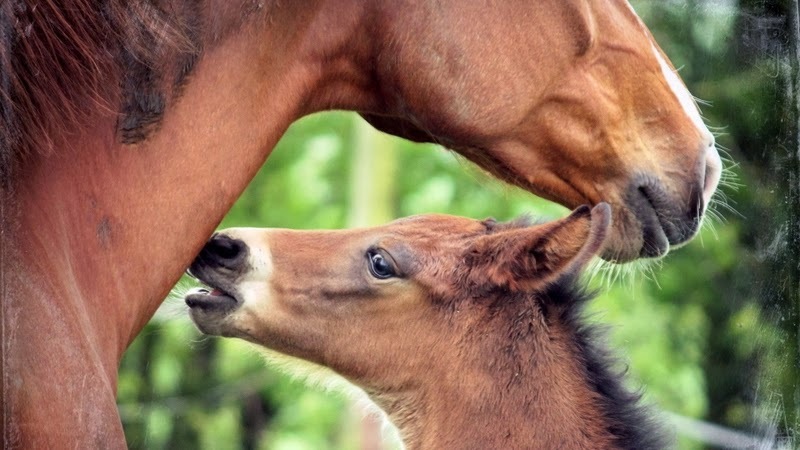 Her parents were concerned about that because it's not natural for a horse. In fact they worried about her constant motion. Like most parents, they wanted what was best for their child. They knew she would need to learn to control her movements-- if she were ever to obtain a great job when she grew up. 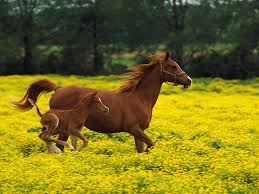 Horses have options: they can be a riding horse, pull carts and buggies, pull heavy equipment, or race. Skye’s parents had high hopes for her. Skye’s body was long and lean, the build to be a fast runner like her parents. To be a great racer, she needed to learn self-control. She needed to be able to hold in her energy and be still when a saddle and rider were put on her. She needed to learn to hold back her power until her rider’s command and then let it out. These things she needed to learn. Skye was still young and they hoped they could train her. 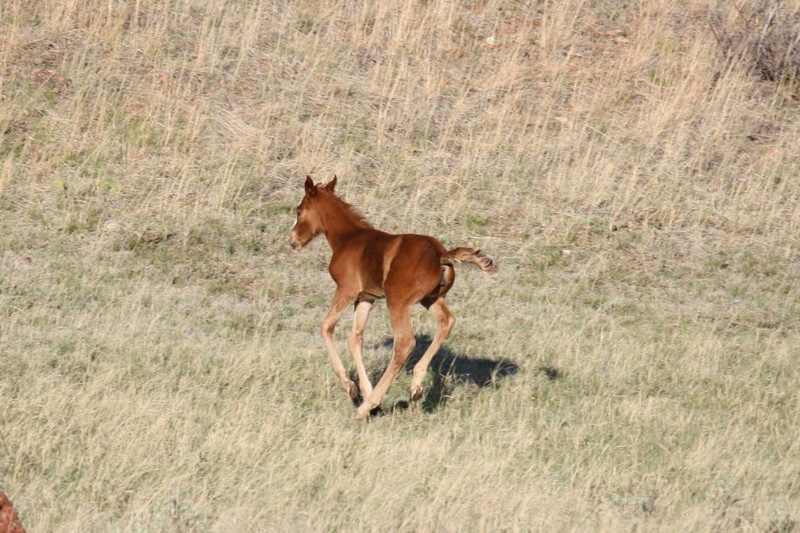 As soon as Sky woke each morning, she jumped up running, prancing, flicking her hooves, and just enjoying life to its fullest. 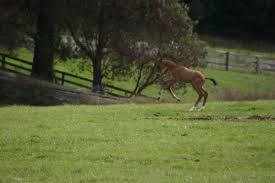 The owners of the horses laughed at her antics. She was fun to watch. She made people happy to see such exuberance and excitement in life. Her parents were relieved the people had not guessed the grimness of the situation, if they could not train her. Every day, her momma would try to reign in Skye’s movements. Skye would try real hard for a few minutes but then a ripple would go through her flesh to her hooves. Right away her head jerked and she jumped up in the air. This seemed to happen often. She didn’t want to move, but it happened. 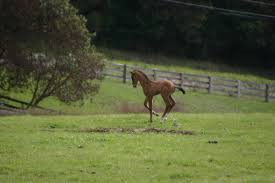 She realized she let her momma down and she often galloped away with tears running down her face. When her tears dried she came back and told her momma she was sorry. As the days went by, only small progress was made. One day, daddy had an idea. It sounded like a great idea. So every morning right after breakfast, they ran Skye all over the pasture until they became exhausted. Mommy and daddy had her stand still. Every day, she was able to stand still longer that the day before. They discovered something that was working. She still felt the urge to move but she could fight it easier and for longer periods of time. They added afternoon trainings too. As Skye grew older so did her self-control. One day, Skye was put to the test. She had just galloped all over the pasture and her owner came over with a saddle. She had become accustomed to a saddle but this time he was putting his daughter on her too. She understood she needed to focus real hard to stand still and then walk not gallop. Her momma and daddy were watching and hoping she would pass the test. The little girl giggled as her father put her on Skye. Skye felt the familiar twinge go through her flesh and she grit her teeth. The owner led her slowly around the paddock. She wanted to jump, run, and prance, anything but walk so slowly. At least, she was moving. She concentrated very hard. Finally, the owner took her into a canter. Skye felt fantastic! She was loved by a human. She had never felt this way before. She couldn’t wait until tomorrow. She knew she would work hard at holding her instincts in and be a well-mannered horse. Skye wanted to take that little girl anywhere she wanted to go. Skye worked hard to control herself. It was difficult but worth it. Skye learned self-control and became a race horse. 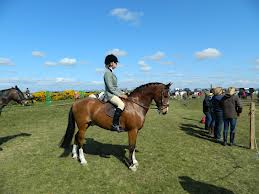 Her rider was that little girl who showed Skye love and grew up to be a great horse woman. Skye and the girl were seen together all over the country side galloping, enjoying the presence of each other and the power of Skye’s strong power held in control. Do you struggle with self-control? You may not have to move all the time like Skye did but you may need self-control in another area of your life. It may be that you get angry easily. You may like to sleep too long. It could be that you don’t work as hard as you should. Maybe you don’t obey right away or completely. Food can be something you need self-control over. Cookies and candy are fine but healthful food is better. It’s hard to do homework right away and not leave it to the last minute. We all struggle with self-control in some area of our lives and need to work on it.